The typical hotel and conference center leverages a multitude of technology applications and platforms. They incorporate several automation processes, from Point of Sale (POS) terminals that handle food and beverage orders to a mobile app that provides real-time response to their guests every need. The applications may or may not be fully integrated. However, because credit card payments are involved (i.e. 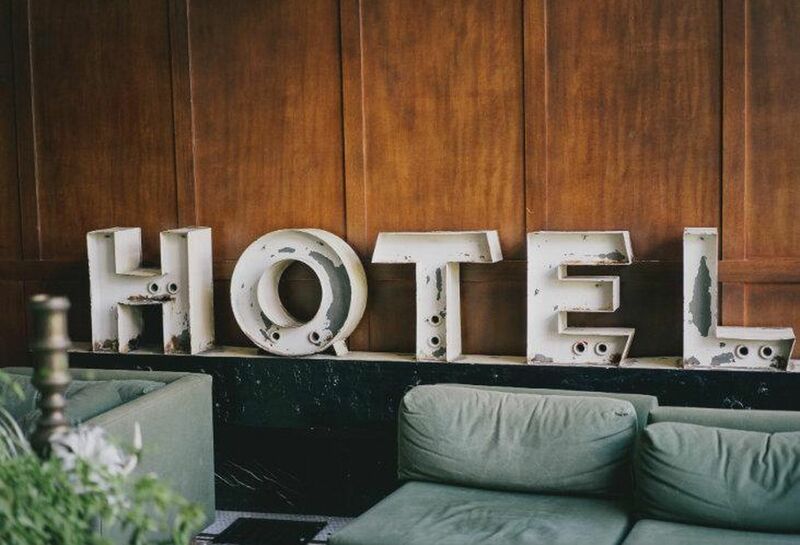 guest room, gift shop, spa services), it’s vital that every venue have a connected, secure solution that doesn’t compromise each guest’s identity and financial information. Today’s blog post will talk about the best ways to keep your guests happy, ensure their data is protected, and keep them coming back every time-- all while reducing your headaches when it comes to management of various systems. 1. Do a complete inventory of your equipment, operating systems and apps. a. Is your hardware too old to support current software solutions? b. Are your applications out-of-date because you haven’t had time to apply the current patches and fixes? c. Can your applications be integrated with others, but you don’t have the time or talent to do it? All these questions are valid and once you have a complete assessment, the next steps will be easier. 2. Gather a detailed review of your Wi-Fi system. a. Is it complementary or paid service for guests? b. If complementary, what is your encryption level? c. If paid, do you provide unique, strong passwords for every guest and for meetings? d. Do you have bandwidth issues at times? This can be a time consuming, tedious task but it is necessary. A recent J.D. Power North America Hotel Guest Satisfaction Index Study found that Wi-Fi was the most important amenity of a guest’s stay. If you don’t have the resources internally to complete this task, consider outsourcing it. 3. Determine if your line of business applications (OPERA, etc.) are connected to one another. a. If they are not, can they be? b. If they are, is it in a real-time, streamlined way? c. Is the data transfer between applications secure? d. Which applications need to be connected and what is the plan to get there? This is where you determine if you are going to move to one integrated platform, build APIs between apps or remain committed to have silo applications. 4. What cybersecurity measures are in place? a. Do you have a cybersecurity policy? b. If so, has everyone been trained on it? c. Do you have end-to-end encryption for credit card purchases? d. Do you leverage multi-factor authentication for everything? 5. Are you prepared for the potential (negative) effects of newer technologies? a. Is your system connected to all IoT devices, such as room temperature, curtain control and lighting? b. Can you control and use Smart TVs to display messages and stream video? c. What about Virtual Reality (VR) and Augmented Reality (AR) devices? d. Can the VR/AR gaming systems tie into your network? e. What about AI Chatbots? These emerging technologies will have impact in three areas: infrastructure, connectivity and bandwidth (guest experience). Our hospitality IT specialists are ready to collaborate with you on all the challenges listed above. Call us at 516.876.8200 or fill out our contact form to schedule time with one of our technology specialists!